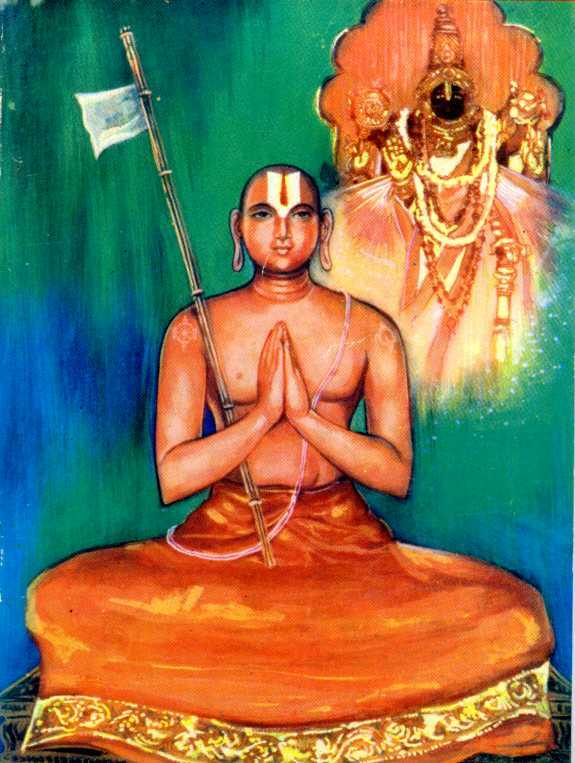 Sri Ramanuja’s works such as the Gitabhasya and the Sribhasya contain certain concepts which can work for the harmony of all the sections of society. These may be stated as follows: Aprthaksiddhi (inseparable existence); Samanvaya (synthesis); Sariraatmabhava (body-soul relation) and Ananya-arha-sesatva (subservience to none other than the Lord). These may be taken as the four cardinal principles which form the foundation of the Social Philosophy of Sri Ramanuja. This is how the real samnyasin lives and helps the society at large by his work which is marked by absolute absence of personal gain and any thought of selfishness. This is the meaning of “Aprthaksiddhi” (inseparable existence) in its extended application. In his philosophical writings, Ramanuja uses this term to refer to the relationship between the attribute called Knowledge (jnana) and the individual self. Knowledge can never exist independent of the soul. The soul, likewise, does not exist without its characteristic, Consciousness or Knowledge. Knowledge in this system is technically called “Dharmabhutajnana.” Ramanuja applies this term to the social organisation of which man is an indivisible component, whether he be a Brahmacharin, Grhastha, Vanaprastha or a Samnyasin or a Brahmana, Ksattriya, Vaisya or Sudra. The concept of “aprthaksiddhi” gradually evolves into “samanvaya” (Synthesis). 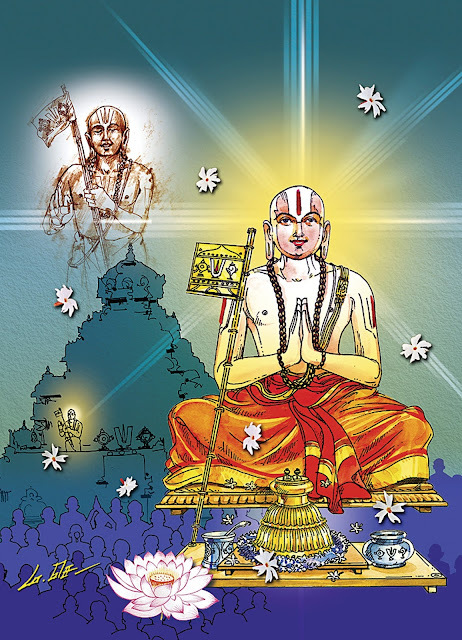 The Synthesis which Sri Ramanuja wants to establish is the Organic synthesis in which the relationship of all plurality - whether it be between inanimate things or conscious souls to the One, is akin to that of a “sarira” (body) and the “saririn” (soul). The One is the Supreme Being, the most important principle which upholds all the distinctions and supports them, without which support and upholding, they literally fall apart and cease to exist. In one word, all of them become “Asat”. The Supreme Being confers upon them “Satta” (existence). The progress of the souls from the state of being “asat” to “sat” is entirely due to the Sankalpa of the Supreme. It is analogous to their movement from “darkness”to “light” and from “mortality” to “immortality”. This enables us to understand the Organic or inseparable relationship between the Divine Being and the multiple souls and the Prakrti. Multiplicity is not contradictory to Oneness, it becomes insignificant and the component entities fall apart if the Oneness becomes annulled or subordinated. (That substance which, in relation to a particular sentient being becomes capable of being invariably controlled and supported by that being for the sake of its own self, and that which is of the nature of being subservient to that being, becomes the body of that particular being). This is indeed the opening statement of the Nyayasiddhanjana of Sri Vedanta Desika. The relation between the Lord and the universe comprising matter and spirit expressed in the Visistadvaita as “sarira-sariri-bhava” finds a striking parallel in the words of an English poet, Alexander Pope: “All are but parts of one stupendous whole whose body Nature is, and God, the soul.” This view gives us the clue to understand the relationship of the body with the soul. The body is incapable of being thus without its association with the soul. The soul, in its turn, is incapable of being what it is without its association with the Lord as His body. 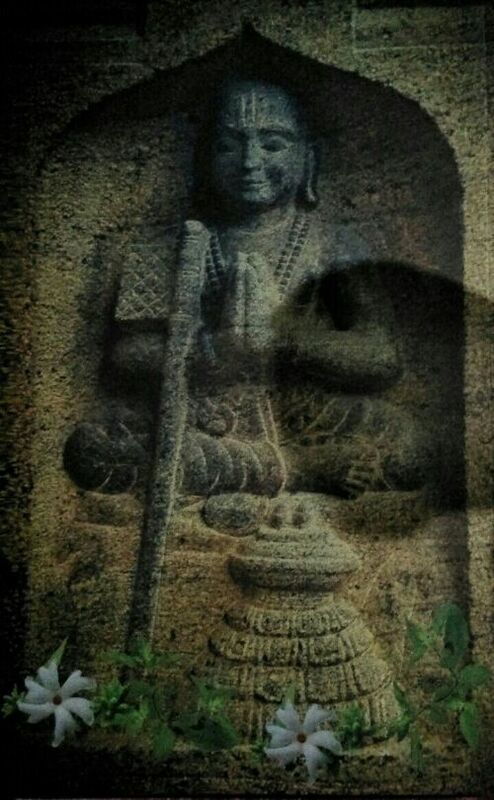 Likewise, Prakrti is incapable of being Prakrti without its connection with Brahman as His body. This “aprthaksiddhi” (inseparable existence) is, of course, one-sided. 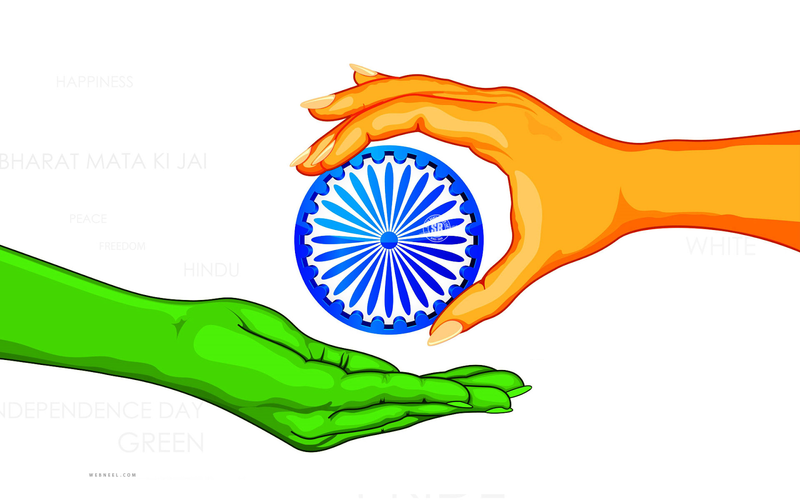 There is inseparability in respect of the dependents on Brahman and not vice-versa. All the entities — conscious or insentient gain their status because of their being what they are in relation to the Lord. In one sense, this is like the relation between the adjectives (“Visesana”) and the substantive (“visesya”). In another sense this is analogous to the relation between the “prakara” (mode) and the possessor of that mode (“prakarin”). And there is no room for either of them to be treated as illusory or unreal. Both the self and the body are real. Even as the self upholds the body, so does God uphold the world consisting of Prakrti and the living beings. God is not identical with the universe, nor does He stand apart from it. He is both immanent and transcendent to the Universe. 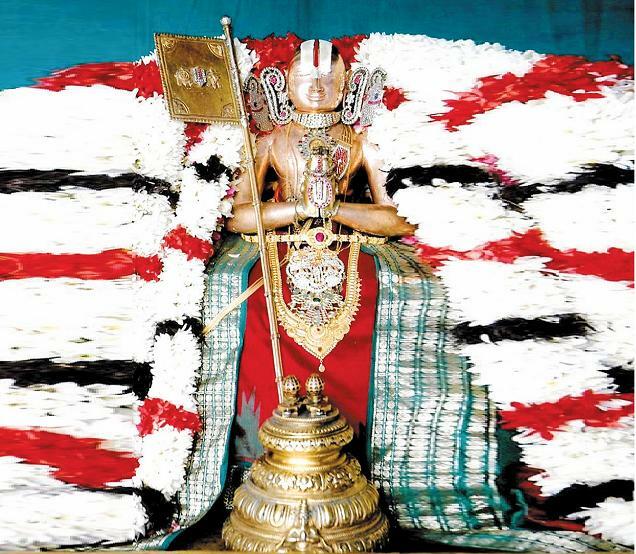 The content is an extract from the book ‘Sri Ramanuja and His Socio-Religious Thougtht,’ written by Mrs. Y.G. Rajalakshmi.